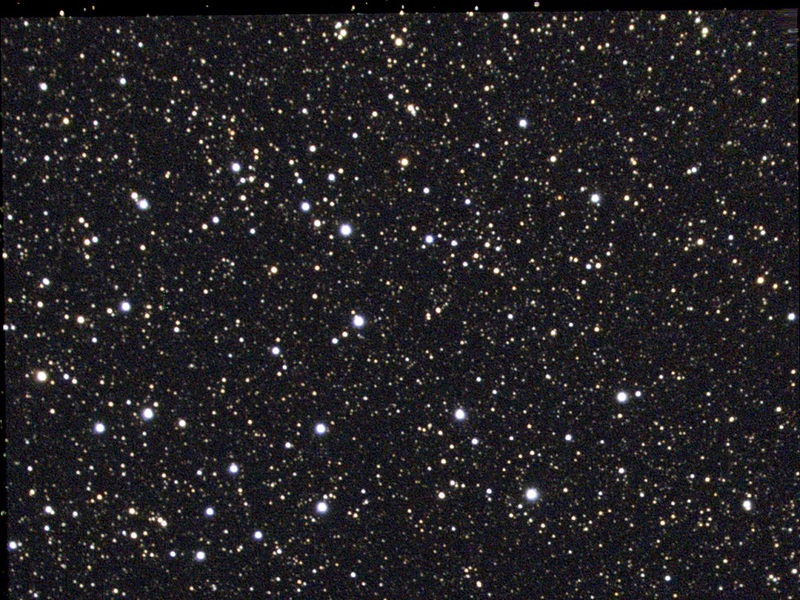 NGC 7419 is a 13th magnitude Open Cluster appearing in the constellation Cepheus. It is 7502 light years from our solar system. 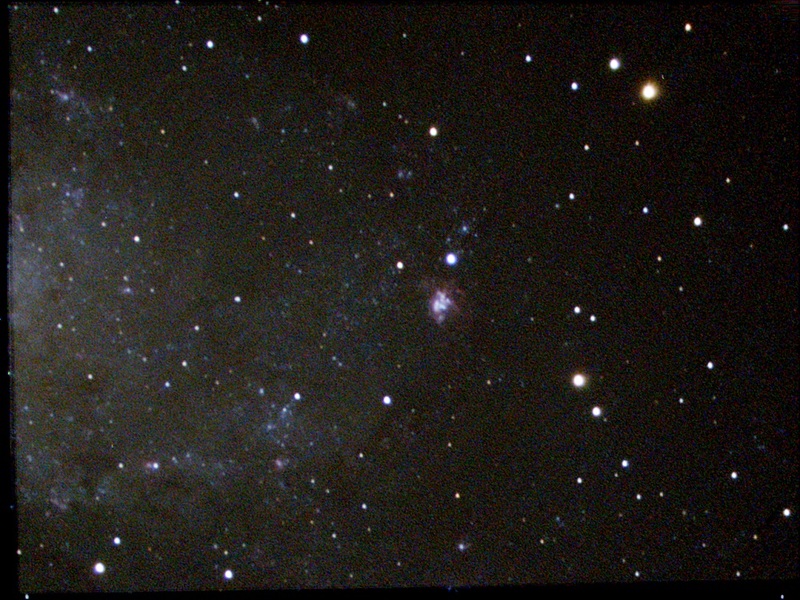 NGC 7419's apparent size is approximately 5.0 arcminutes, corresponding to a physical diameter of 11 light years. NGC 7042 is a 12th magnitude Spiral Galaxy appearing in the constellation Pegasus. It is 246 million light years from our solar system. NGC 7042 appears roughly 1.8 x 1.6 arcminutes in size, corresponding to a physical diameter of 127757 light years. It is a spiral galaxy of morphological type Sb, and is receding at 5083 kilometers per second - about 1.7% of light speed. 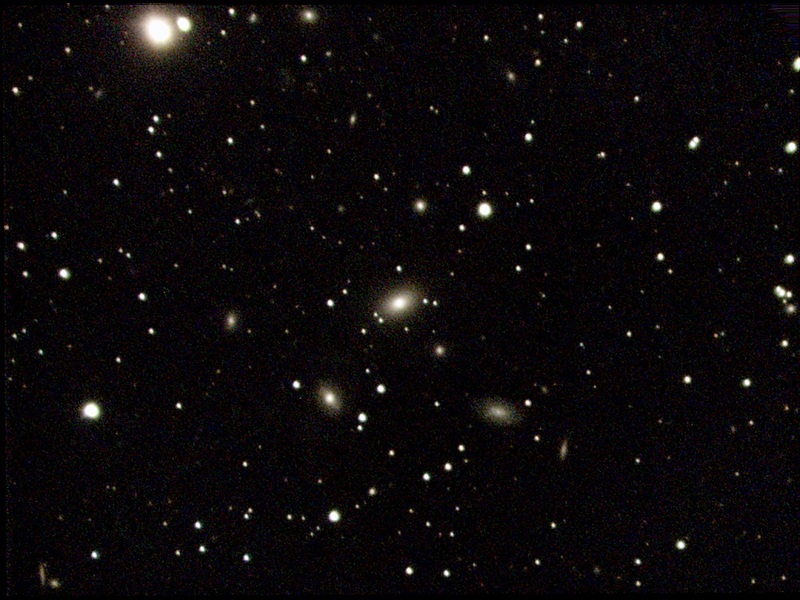 16x32s, without IR cut filter. NGC 6340 is a 11th magnitude Spiral Galaxy appearing in the constellation Draco. It is 73 million light years from our solar system. 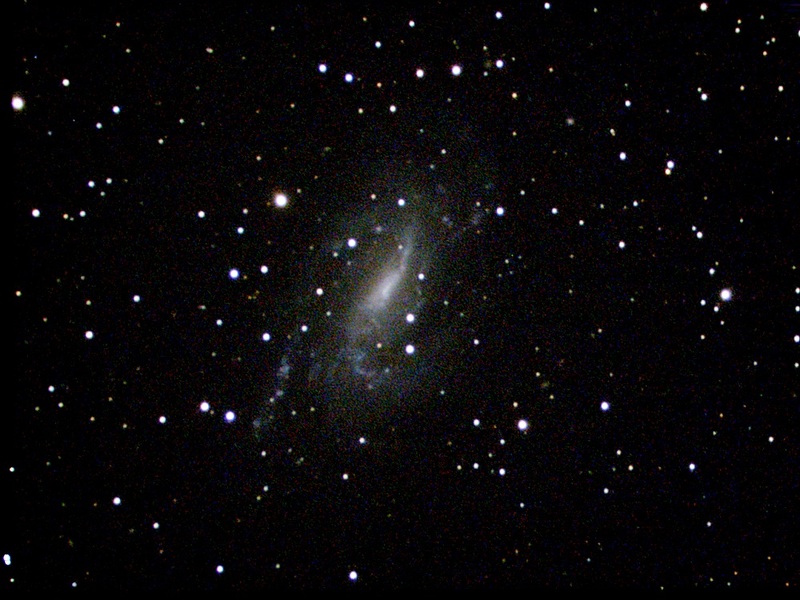 NGC 6340 appears roughly 3.0 x 2.9 arcminutes in size, corresponding to a physical diameter of 64074 light years. It is a spiral galaxy of morphological type S0-a, and is receding at 1215 kilometers per second - about 0.4% of light speed. Bottom one. NGC 3065 is a 10th magnitude Spiral Galaxy appearing in the constellation Ursa Major. It is 108 million light years from our solar system. NGC 3065 appears roughly 1.9 x 1.8 arcminutes in size, corresponding to a physical diameter of 58374 light years. It is a spiral galaxy of morphological type S0, and is receding at 1996 kilometers per second - about 0.7% of light speed. NGC 3065 reminds me of M94. NGC 23 is a Sb peculiar with a small nucleus. The center of the galaxy contains a somewhat brighter diffuse region. Southeast of the nucleus is a star that is about one magnitude fainter than the nucleus. NGC 206 is a 14th magnitude Bright Nebula appearing in the constellation Andromeda. It is 3 million light years from our solar system. NGC 206's apparent size is approximately 4.2 arcminutes, corresponding to a physical diameter of 3108 light years. 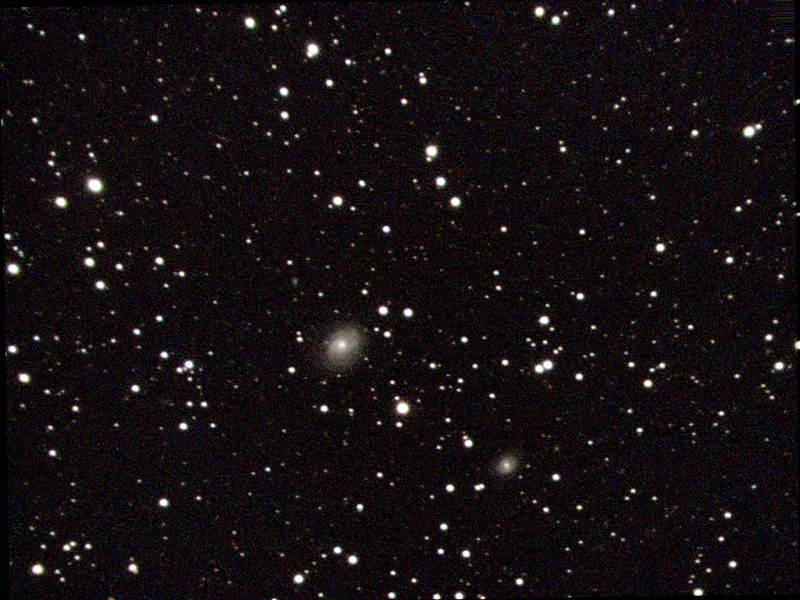 NGC 499 is a 12th magnitude Elliptical Galaxy appearing in the constellation Pisces. It is 213 million light years from our solar system. 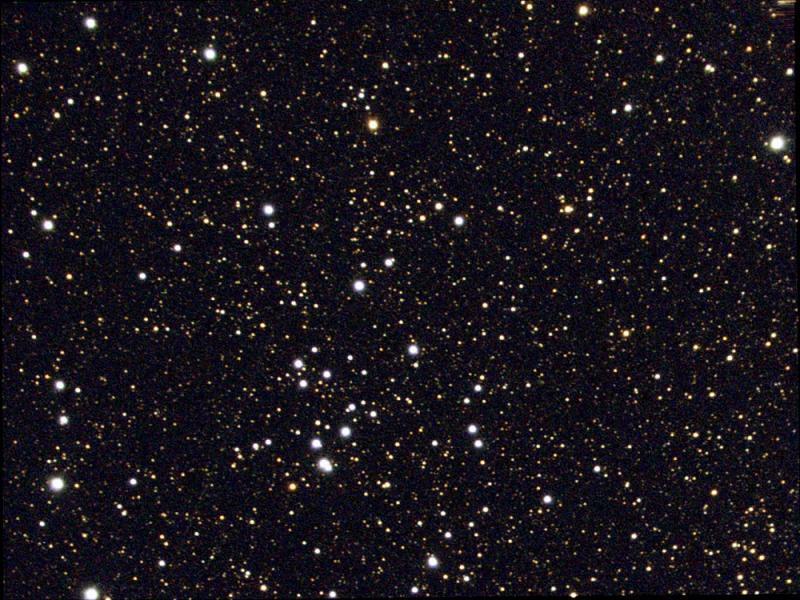 NGC 6793 is a Open Cluster appearing in the constellation Vulpecula. It is 3588 light years from our solar system. 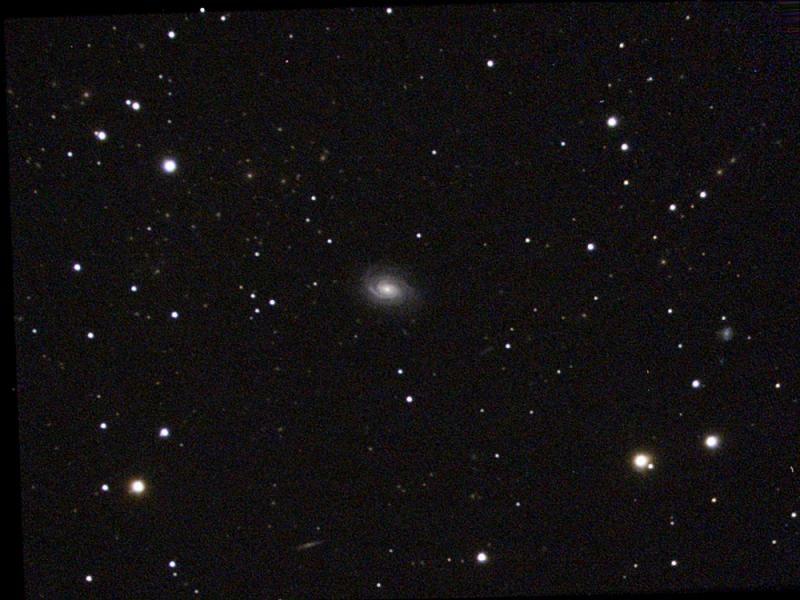 NGC 6793's apparent size is approximately 6.0 arcminutes, corresponding to a physical diameter of 6 light years. 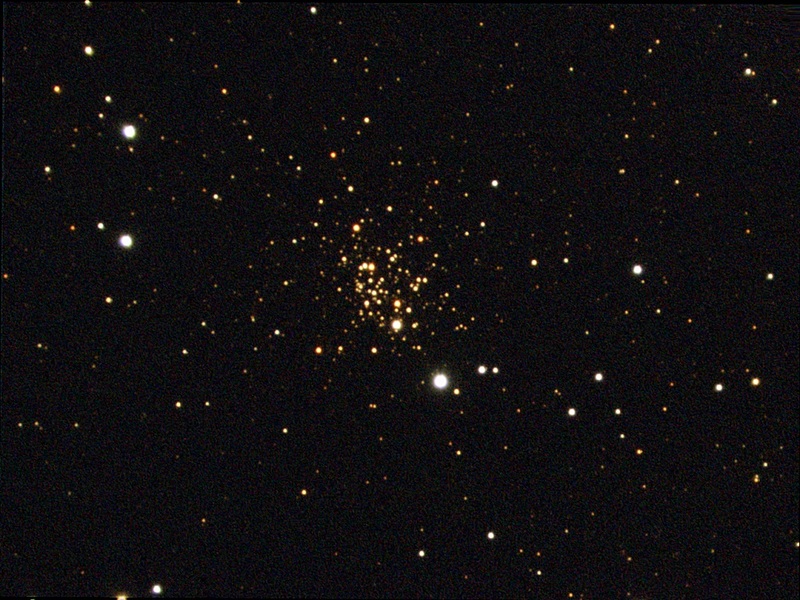 NGC 6800 is a faint cluster lying about one half degree northwest of 4th magnitude Alpha Vulpeculae. It consists of two dozen 12th and 13th magnitude stars scattered over an area of 15 arc minutes. The stars at the center of the cluster form an irregular loop, with clumps of fainter stars along the eastern edge of the loop. NGC 6960 is the western segment of the Great Cygnus Loop, the remnants of a supernova explosion estimated to have occurred 5,000 to 8,000 years ago. 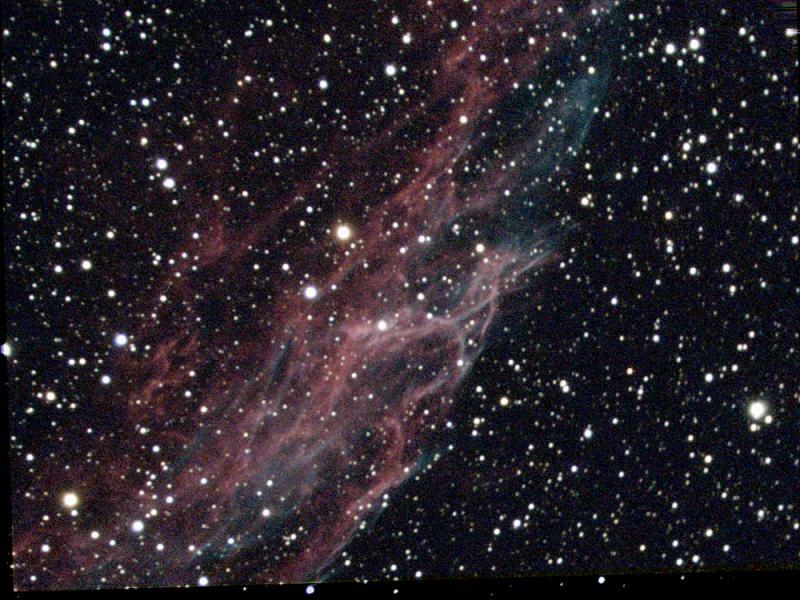 There are few directly visible supernova remnants but the Veil is one of the finest. NGC 6992-95 is only a small portion of the eastern side of the Cygnus Loop - a large, almost spherical glowing shell of gas, about three degrees across. The Cygnus Loop is the expanding remains of a star that exploded between 5,000 and 8,000 years ago. The shockwave from the explosion is exciting the tenuous interstellar medium and making it glow. 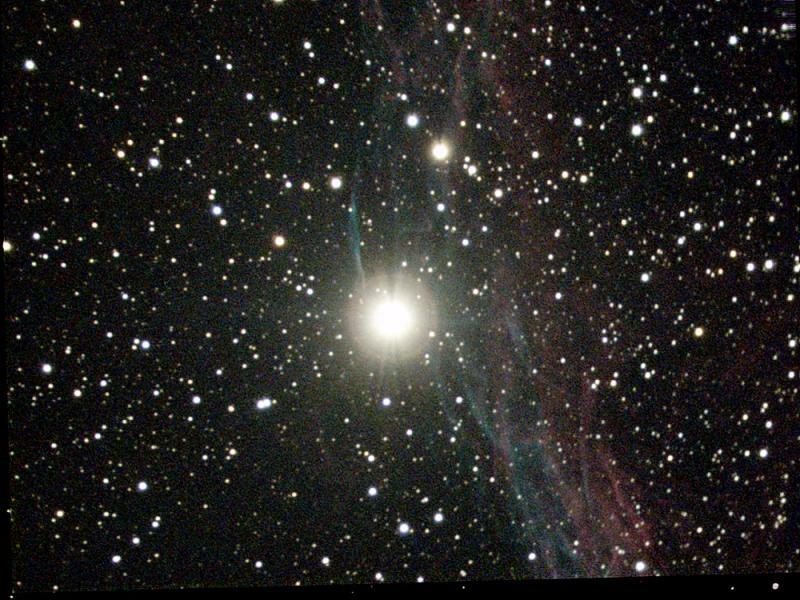 The nebula (and thus its precursor star) is about 1900 light years distant, and about 100 light years across. Bottom one. NGC 6548 is a 11th magnitude Spiral Galaxy appearing in the constellation Hercules. It is 74 million light years from our solar system. 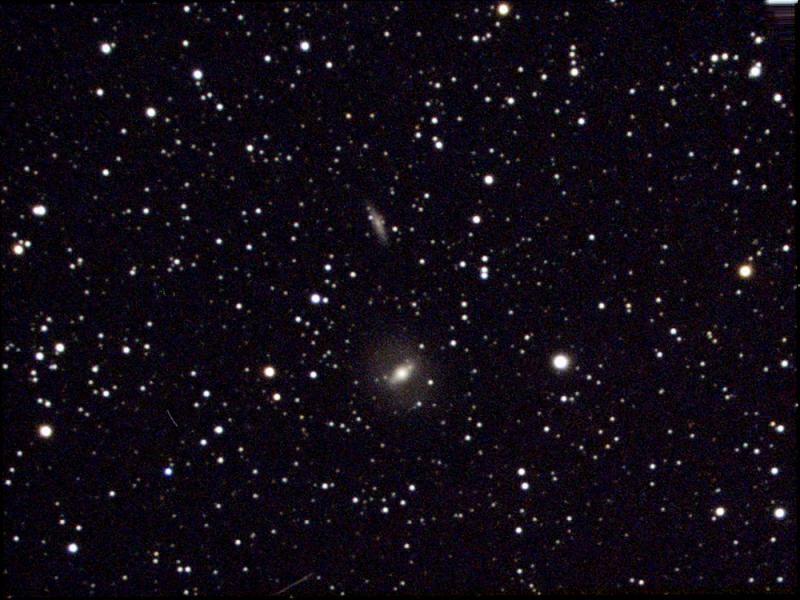 NGC 6548 appears roughly 2.6 x 2.3 arcminutes in size, corresponding to a physical diameter of 56971 light years. It is a spiral galaxy of morphological type S0, and is receding at 2193 kilometers per second - about 0.7% of light speed. NGC 604 is a 12th magnitude Bright Nebula appearing in the constellation Triangulum. It is 3 million light years from our solar system. NGC 604's apparent size is approximately 1.9 arcminutes, corresponding to a physical diameter of 1591 light years. NGC 925 is Sc spiral with suspected bar and extended nucleus. 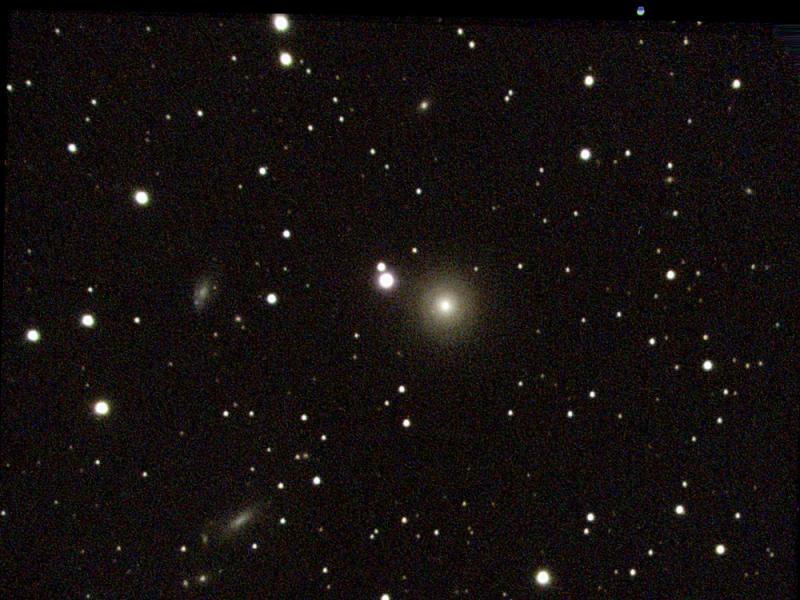 It is member of the NGC 1023 group. 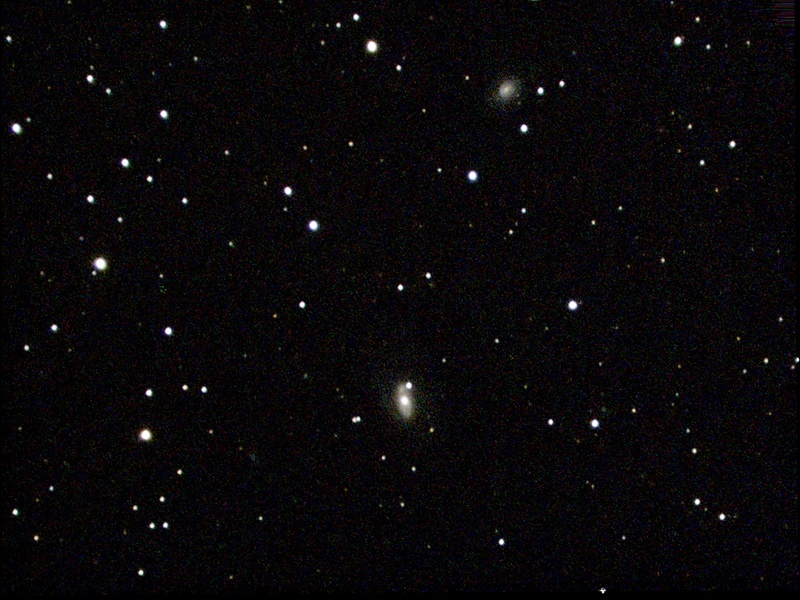 Visually in larger instruments, NGC 925 displays faint counterclockwise spiral arms. The central area is mottled and the halo only a tenuous spiral pattern. Nice galaxy, but I didn't find it in the Herschel 400 list. NGC 7171 is a 12th magnitude Spiral Galaxy appearing in the constellation Aquarius. It is 142 million light years from our solar system. NGC 7171 appears roughly 2.4 x 1.2 arcminutes in size, corresponding to a physical diameter of 99395 light years. It is a barred spiral galaxy of morphological type SBb, and is receding at 2717 kilometers per second - about 0.9% of light speed. NGC 214 is a 12th magnitude Spiral Galaxy appearing in the constellation Andromeda. It is 188 million light years from our solar system. NGC 214 appears roughly 1.9 x 1.3 arcminutes in size, corresponding to a physical diameter of 101910 light years. It is a spiral galaxy of morphological type SABc, and is receding at 4536 kilometers per second - about 1.5% of light speed. NGC 672 is a 10th magnitude Spiral Galaxy appearing in the constellation Triangulum. It is 24 million light years from our solar system. 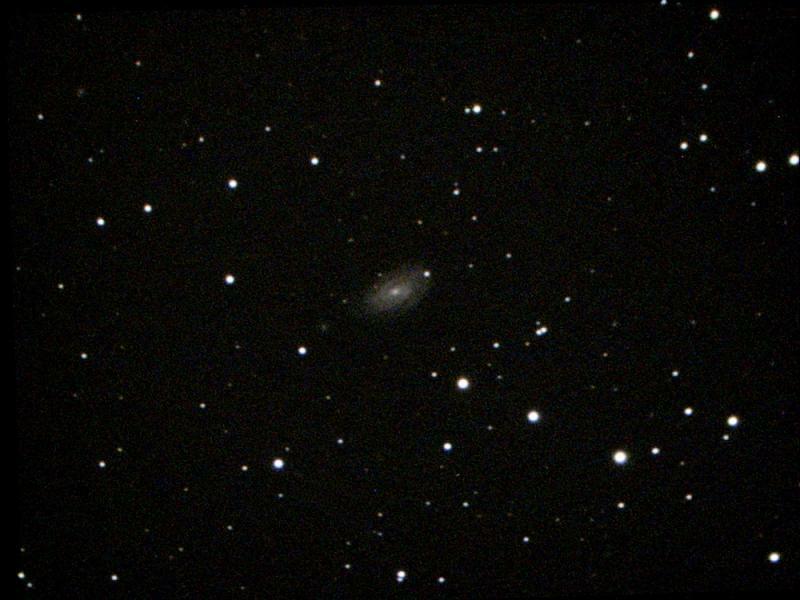 NGC 672 appears roughly 7.1 x 2.8 arcminutes in size, corresponding to a physical diameter of 48461 light years. It is a barred spiral galaxy of morphological type SBc, and is receding at 425 kilometers per second - about 0.1% of light speed. 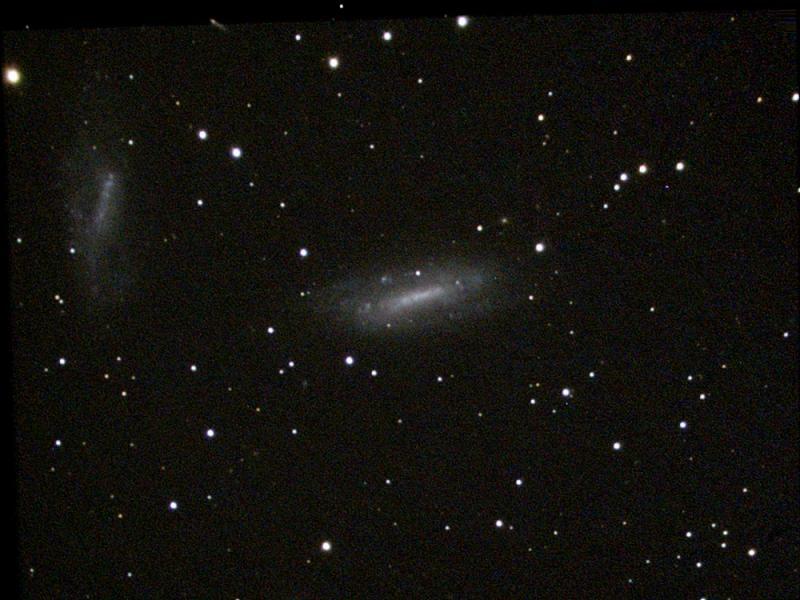 What galaxy is that left to NGC 672? I think it's PGC 6574. Edited by roelb, 14 September 2018 - 06:05 PM. NGC 1491 is an emission nebula in the constellation Perseus. 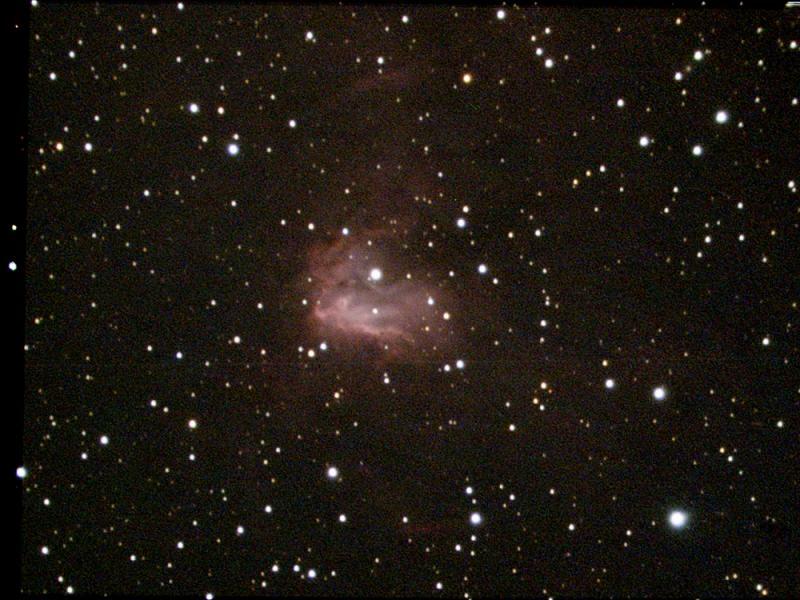 Lying just over a degree NW of Lambda Persei, this bright nebula is an interesting object in 8" and larger telescopes. The nebula appears fan-shaped, with brighter tendrils along the edges. At its apex is a bright, roundish blob of nebulosity. In smaller telescopes, only the brighter parts of the nebula are visible; the overall size of the object is 8.7 x 2.3 arc minutes. The reddish color of this bright, triangular nebula indicates that it is mainly composed of ionized hydrogen. The nebula has an 11th magnitude star at its center. The central star is "blowing" a bubble in the gas that surrounds it. The winds from this star are so energetic that they are breaking up the nebula around it. Edit: I think I see from the filename that you were at 841s? Hi Errol. I was using 30 second subs for this target. Total 841 seconds. This number in Sharpcap often is not correct, because it include rejected and filtered out exposures in the total sum. Yes Roel, it is PGC 6574. It is quite weird such big object don't have NGC designation. 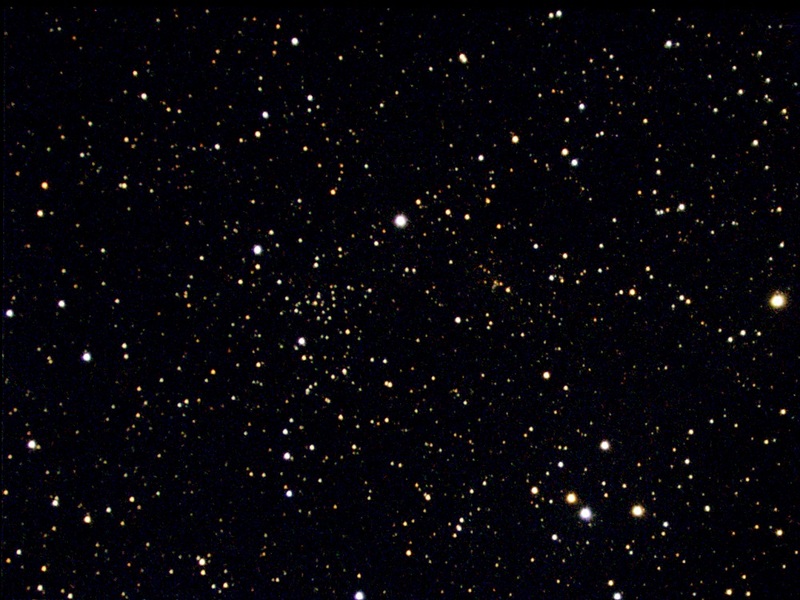 NGC 7245 is a 9th magnitude Open Cluster appearing in the constellation Lacerta. It is 11 thousand light years from our solar system. 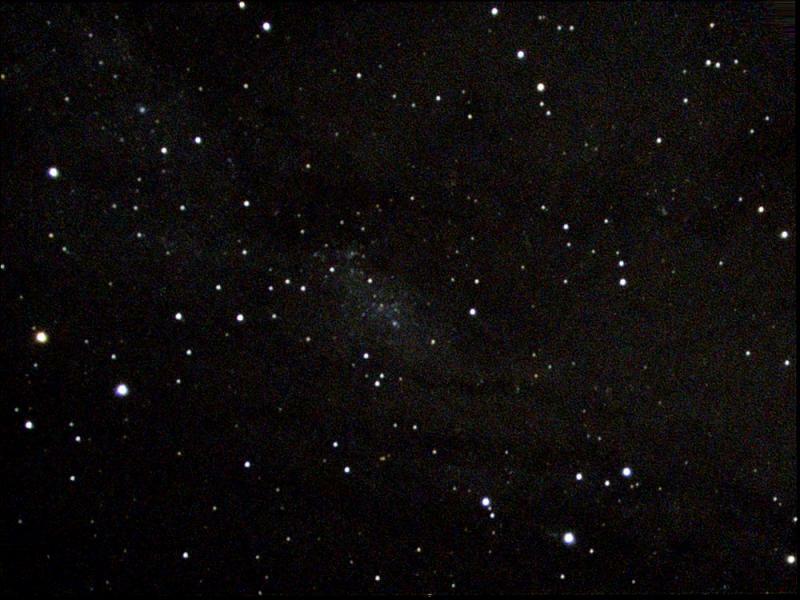 NGC 7245's apparent size is approximately 7.0 arcminutes, corresponding to a physical diameter of 23 light years. AT 102 ED and binoviewers? Ghostly reflections in the Moon !